2016 is shaping up to be one for the history books in no small part to yesterdays referendum held in Great Britain. In case you were unaware, the UK citizens voted in favoring of leaving the European Union. The ‘Brexit’ or British Exit was not expected to happen by most think tanks and caught the rest of the world off guard. Supporters of Brexit believe that it will help to ‘Take Back Their Country”. Does that sound slightly familiar for USA citizens? It should, the Republican nominee for President uses a very similar “Make America Great Again” slogan. The growing popularity of nationalism, both here at home, and abroad is a step in the wrong direction in my opinion. Most supporters of such a mentality favor decreased immigration, more isolationism, and a feeling that their culture, country, land, people are the best. The last time that dozens of countries had this boisterous attitude, there was a colossal world war. The opposite of Nationalism is Globalism. In Globalism the borders between countries blur or disappear altogether. If you are a Star Trek fan and like the idea of living in the Star Trek universe, then Globalism is for you. The European Union was founded with the ethos of Globalism. The thought was that if all of the European countries were united together in trade and citizens could freely move about between countries, then another catastrophic war could be avoided. In the Brexit case, the primary motivator was immigration. The civil war in Syria has created millions of refugees. These refugees aren’t malevolent individuals. Sure, there might be a few bad apples in the mix, but for the most part they are just families, or broken families, trying to get away from atrocities. Part of the reason why Shae and I travel internationally is to learn about other cultures and peoples. Men and women, infants and children, jobs and bills, for all intents and purposes they are the same as us. Sure they may speak a different language, have a different skin tone, and may even worship a different god or no god at all, but they are still human beings. Immigration is a wonderful thing. Immigrants bring fresh blood to the workforce, new talents, creativity, a drive to improve, and a can-do-attitude. By the second or third generation, they’ve been assimilated into the country and speak the language and have adopted the culture. Adopting a xenophobic attitude, like the one that Brexit supporters or the Republican nominee, have adapted is short sighted and fool hardy. Look no further than Japan, a deeply xenophobic country with tight immigration laws. Like many developed nations, Japan’s birthrate has hovered at or below replacement rate for the past two decades. Without young immigrants feeding into the Japanese economy, the native youngsters have had to sustain a larger aging population. The result has been a stagnant economy for decades. On the same side of the Nationalism coin, is Protectionism. Protectionism is when a country tries to help domestic companies sell their products by blocking foreign competitors. Governments pursuing a protectionism agenda can accomplish this by taxing foreign imports at obscene levels. Both Donald Trump and Bernie Sanders have run their campaigns on a protectionism platform. “Made In USA” is their rally cry. Protectionism in my opinion is a poor grasp at turning the clock back 50 years. America enjoyed a golden period after WW2 where every other major industrialized nation was in ruins. Now, 65 years later, other countries have rebuilt and American companies face stiff competition. This is the new reality, and there is no turning back the clock. What these two candidates have failed to mention is that if Free Trade is sliced up with protectionist tariffs, the result goes both ways. Trading partners such as Mexico, Canada, and China would be just as likely to retaliate with their own tariffs. Nobody wins in a trade war, least of all consumers. We all live in the same spot. It’s time to start acting like it. 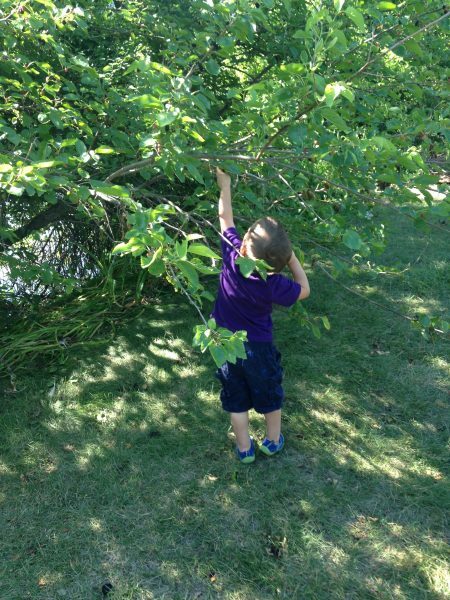 Mulberry trees are in peak ripeness in the Midwest right now. 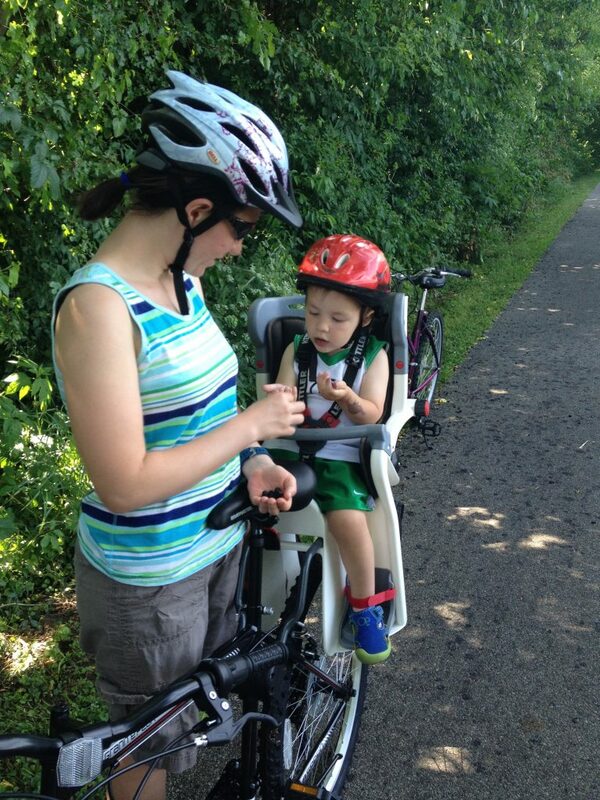 I thought that I would take advantage of that fact by going on a bike ride with Frugal Boy to a place that had plenty of low hanging trees branches. Frugal Boy can eat them faster than I can pick them, so I had to teach him how to pick his own. 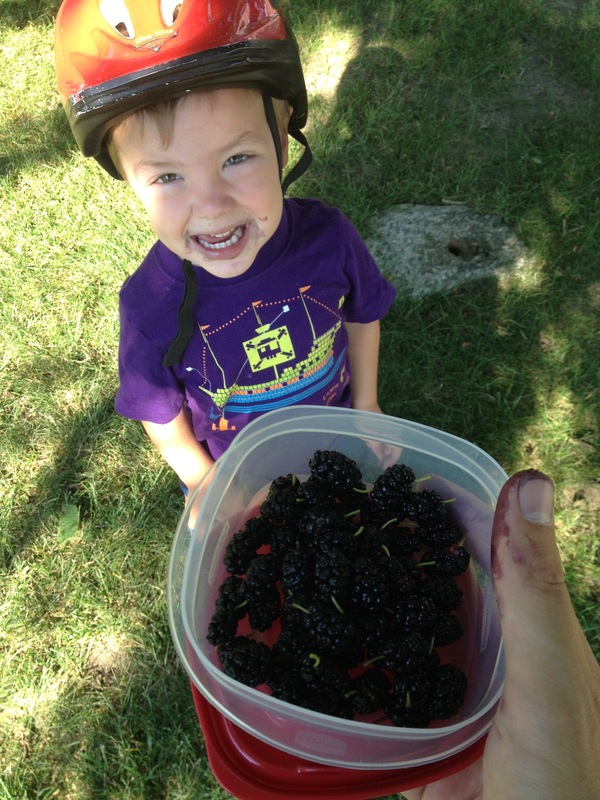 Give a boy a mulberry and he’ll poop purple for a day, teach a boy to pick mulberries and he’ll poop purple for a week! After I had filled up all the containers that I had brought with we took our bounty back to Shae. Mulberries are fragile and don’t stay very long even when they are refrigerated. That is part of the reason that you won’t find them in stores. 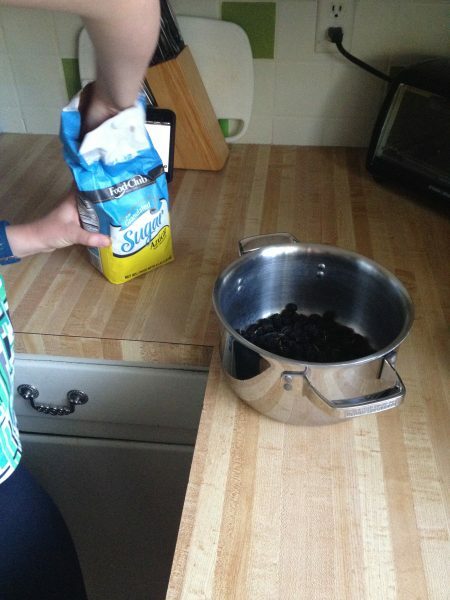 Shae decided that she wanted to make jam out of them. 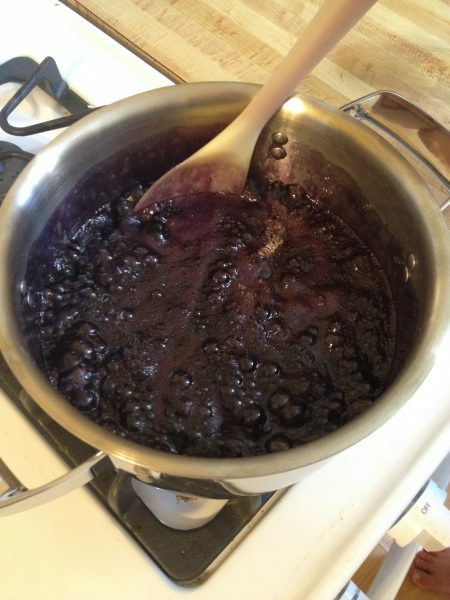 She followed a recipe without pectin. 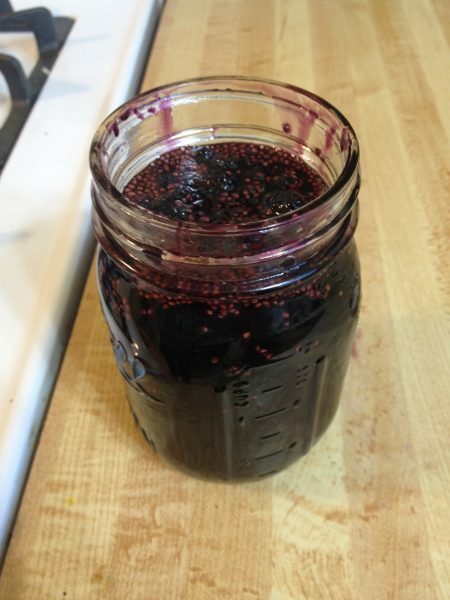 It was just mulberries, sugar, and a little water. Mulberries have a very dark purple color to them. It looks almost black. After cooking up the mixture it filled one pint canning jar. It is a bit runny, but very tasty! Summer reading programs have begun all across the country! Have you signed up at your local public library yet? I kicked off this year’s program by checking out a copy of The MoneySmart Family System: Teaching Financial Independence to Children of Every Age. The book penned by Steve & Annette ‘Economides’ (oh please) details their overly complex allowance system that they have developed to help raise productive members of society. The book starts off well, talking about the 5/50/500 concept whereby a small child will make a $5 request, a tween will make a $50 request/mistake, a teenager will make a $500 request, a college student will make a $5,000 request, and an adult child will scale up to $50,000 mistakes/requests. The sooner that you teach money handling to children, the less costly the requests and mistakes they make later on in life will be. In their words, kids will take everything that you give them, so it pays to control the purse strings early on in life and not bail them out of smaller goof ups. The book takes a decided turn for the worse when the authors proudly state that allowances are bad and parents shouldn’t use them, then launches into a multi chapter discussion of their family’s allowance (er point) system. Each child earns 0-5 points a day for completing expected tasks, like getting out of bed, and at the end of the week, the parents have to tally up the points and use some weird sliding age weighted scale to turn the points into an allowance (oops, they call it a paycheck). 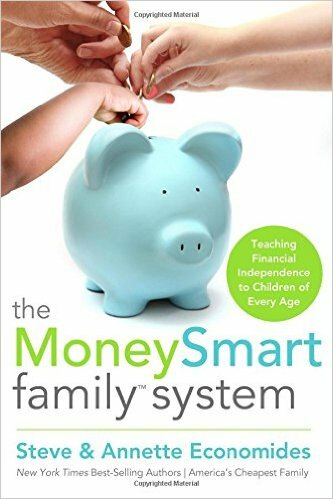 If you have hours of idle time as a parent and are looking to add some complexity to your life, then by all means read up on the MoneySmart Family System. This past Christmas, Shae and I got the KitchenAid Ice Cream Maker attachment as a gift from her parents. The set consists of a freezer bowl, a churning paddle, some plastic connector bits, and an instructions manual. In the world of homemade ice cream, there are three methods. This is the tried and true coffee can way of making ice cream. You pour your cream mixture into a small can, seal it up, then place that small can inside a bigger can packed with ice and salt. After sealing the bigger can, you (or better yet, your kids) roll the can back and forth across the kitchen floor for 30 minutes until the inside can freezes. There are more sophisticated setups for salt & ice but they all work the same. A nice write up on this if you want to try it at home is available here. In this method, instead of using ice and salt, you pre-freeze a special mixing bowl that contains blue-ice in the side walls. These big mixing bowls act like cooler packs that you throw in the freezer before going on a picnic or taking your lunch to work. 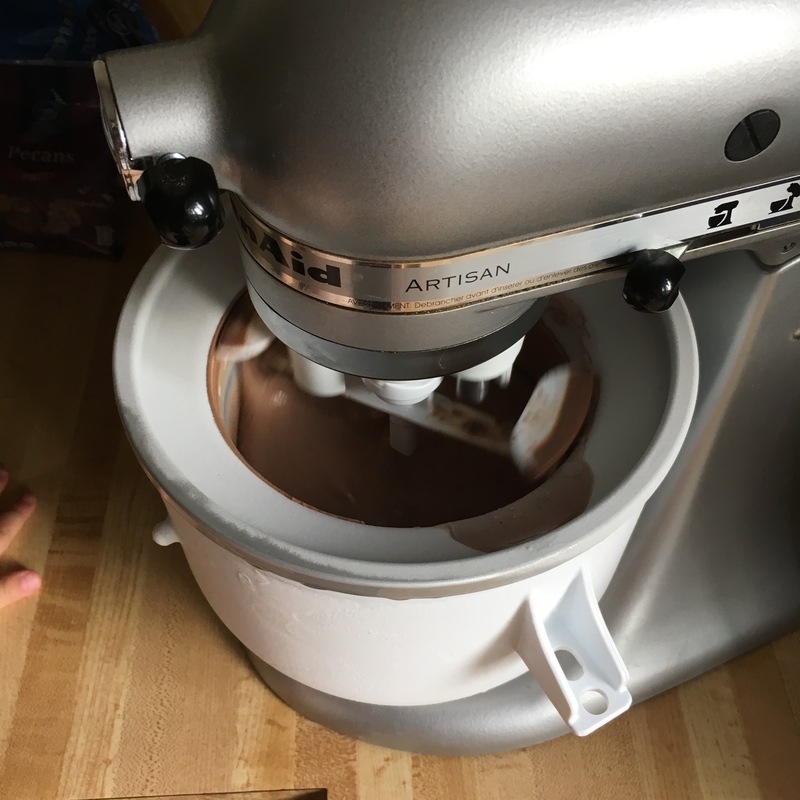 The KitchenAid Ice Cream Maker utilizes one of these bowls. The advantage is that you don’t have to bother with crushing up ice and adding in salt. The disadvantage is that you need to freeze the bowl overnight in order to get it cold enough to make ice cream. At the very highest end of home ice cream makers are kitchen gadgets that have built in compressors. These units just plug into the wall and the built in compressor makes the mixing area cold enough to make ice cream. The advantage is that you don’t have to pre-freeze a bulky bowl. The disadvantage is price. Compressor styled ice cream makers range anywhere from $200-600. Assuming that ingredients are free and you only buy high end $5/quart ice cream. It would take between 40-120 quarts of ice cream to pay off one of these machines. As you’ll see further down, ingredients for high quality ice cream are anything but free. 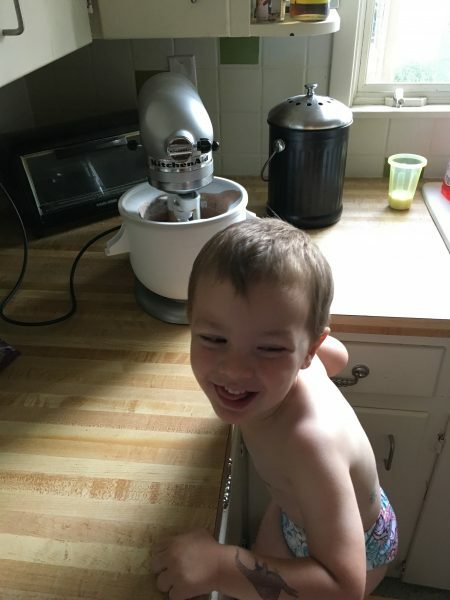 We followed one of the KitchenAid recipes back in January when we broke in the gizmo. I don’t think we had our freezer cold enough, because there were a lot of large ice crystals that formed. This time around, we were better prepared and set our freezer down to the coldest setting. 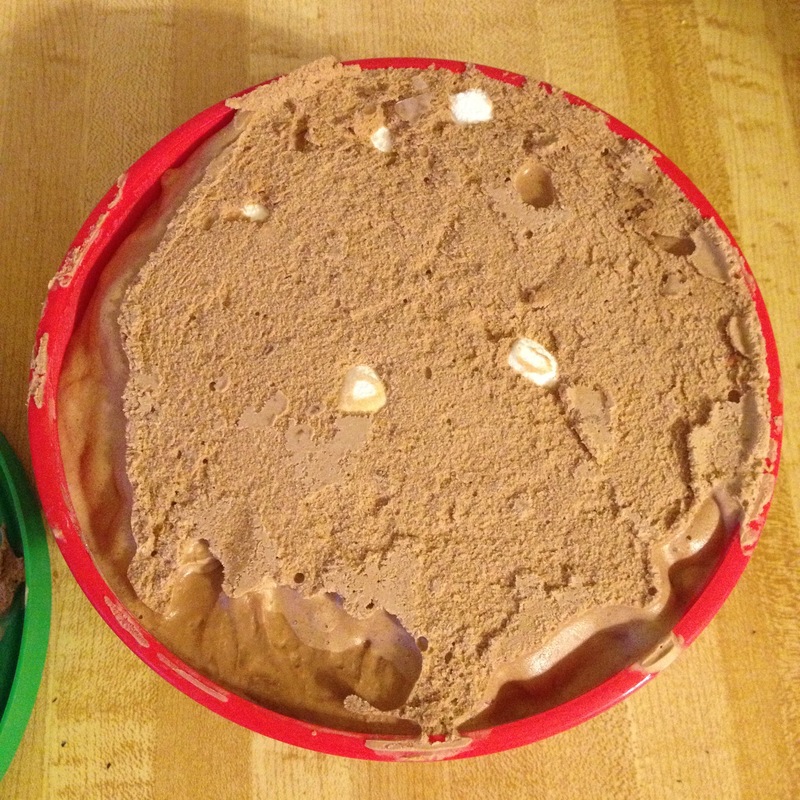 The faster your ice cream mixture freezes, the smaller the ice crystals will be. The name of the game becomes, get your cream mixture as close to freezing as possible before starting the churning process. This time around, we followed this rocky road recipe with some modifications. We substituted whipping cream in place of the heavy cream and we changed light cream with 2% milk. 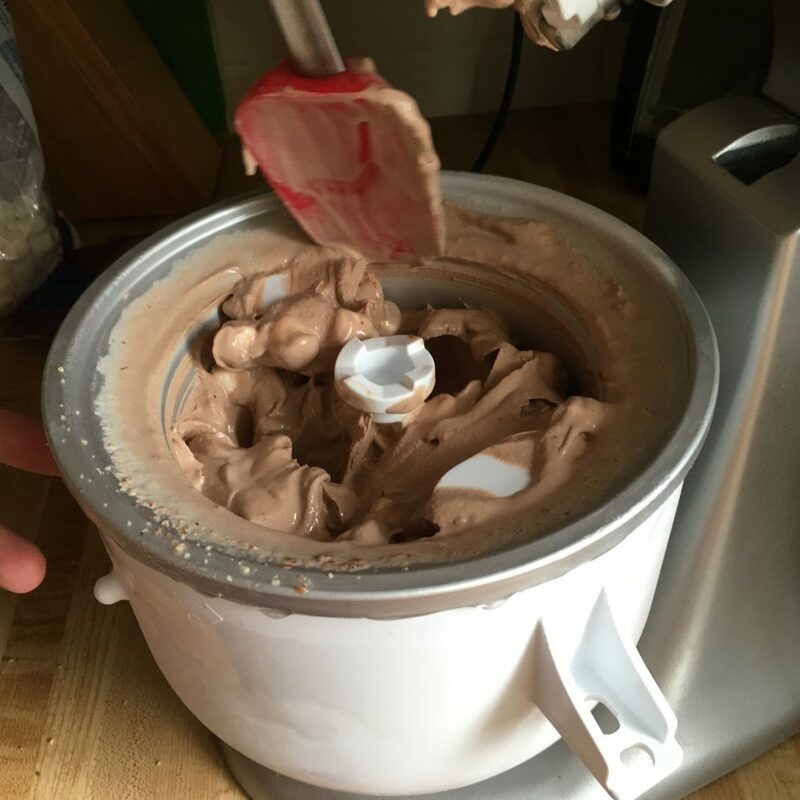 With our mixing bowl frozen and the cream mixture thoroughly chilled, we were able to start the churning process. Frugal Boy wanted to pour his milk into the bowl as well. 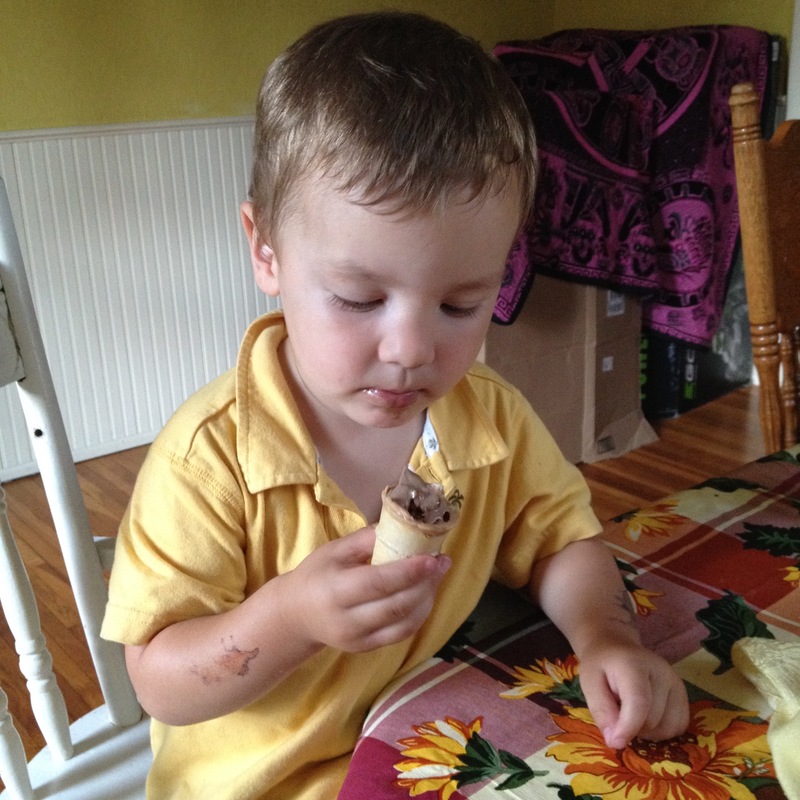 I am not sure if he understood that ice cream comes from dairy, or if he would have just as happily poured in a cup of water. Either way, I am happy that we can teach him how different foods are made so that he can understand what it is that he is eating and what had to happen in order to make that possible. When using the KitchenAid, you have to start the mixing paddle before you pour the mixture in otherwise it will freeze to the sides instantly. The paddle is designed to start slipping when the ice cream gets thicker. This helps to protect the mixers motor from burning out. At the end of mixing, throw in any add-ons. For rocky road, that would include mini marshmallows and chunks of pecan. At this stage, the ice cream will have the consistency of soft serve. You’ll want to ‘ripen’ it by putting the ice cream in the freezer. Remember that the faster the ice cream freezes, the less ice crystals it will have and the smoother the consistency will be. We used a shallow plastic tub and that seemed to work quite well. Yummy. When properly made, like this batch was, you end up with a really high quality creamy silky smooth ice cream that tastes just like the expensive brands at the supermarket. The key to a great consistency is to keep everything as cold as possible. Chill the mixture at the bottom and back of your refrigerator. Some people even pop it into the freezer for a few minutes before starting the churning. You really want it to freeze quickly. Making ice cream at home is not going to save you money over buying it at the store. So don’t buy into a system with that delusion. Even if you use the coffee can method instead of a fancy machine, the fact remains that the raw ingredients are pricey. A pint of whipping cream will set you back about $2.50. Add in a 14 oz can of sweetened condensed milk and you are already at $3.50. Throw in 25¢ of regular milk (a cup or two) and just the base of the ice cream is at $3.75 for 2 quarts. Mix-ins such as pecans rapidly drive up the price. Shae is the queen at making yogurt. It is a fairly simple process with one ingredient, milk. Aldi has been selling milk for under $1/gallon. I think the last time we went it was 94¢. One gallon of milk will make half a gallon (two quarts) of strained, thick, greek yogurt. Most frozen yogurt recipes are pretty simple: yogurt, sugar, a flavoring such as vanilla extract. Sugar is about 21¢ per cup and that is more than enough for two quarts of greek yogurt. Vanilla extract is also about 21¢ per tablespoon. That brings the raw ingredient cost of vanilla froyo to around $1.36 for two quarts. Have you made ice cream before? What recipes should we try out? Growing up as a kid, I rode my bicycle everywhere around town. It was my primary means of transportation between the ages of 6-18. Then I went off to university and a bike wasn’t needed to get around the 6 block campus. I met Shae and we moved to our current city. She grew up in the country and car culture so after our first 19 mile long bike ride she just about keeled over. In hindsight, maybe that wasn’t the best way to entice her into the world of cycling. About a month ago, I tossed my $10 garage sale bike on the curb for scrappers to pick up. It was beyond saving and I hadn’t ridden it in over two years. 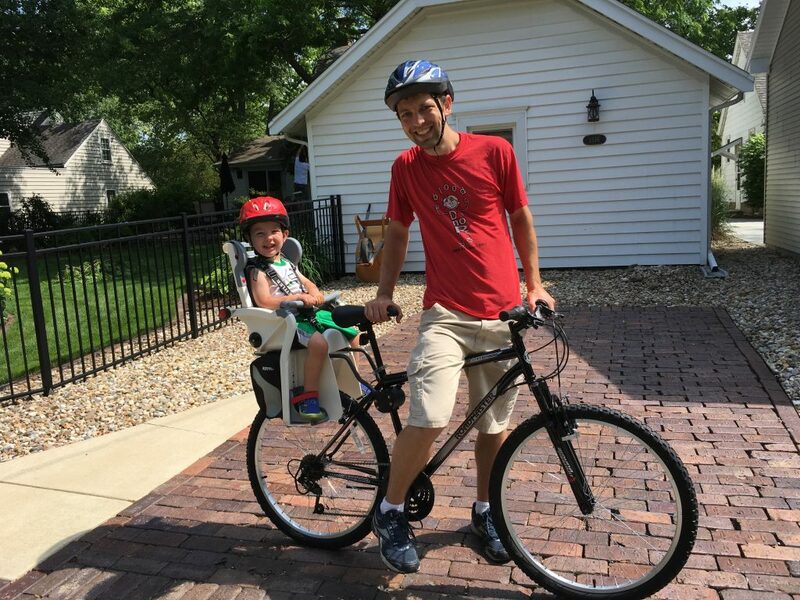 I setup a craigslist alert for ‘bicycle’ to see if I couldn’t get a ‘new’ bike for cheap. The only listings that were getting posted were for $100+ bikes. I just wanted something cheap that I could zip around on. Shae had better luck than me. 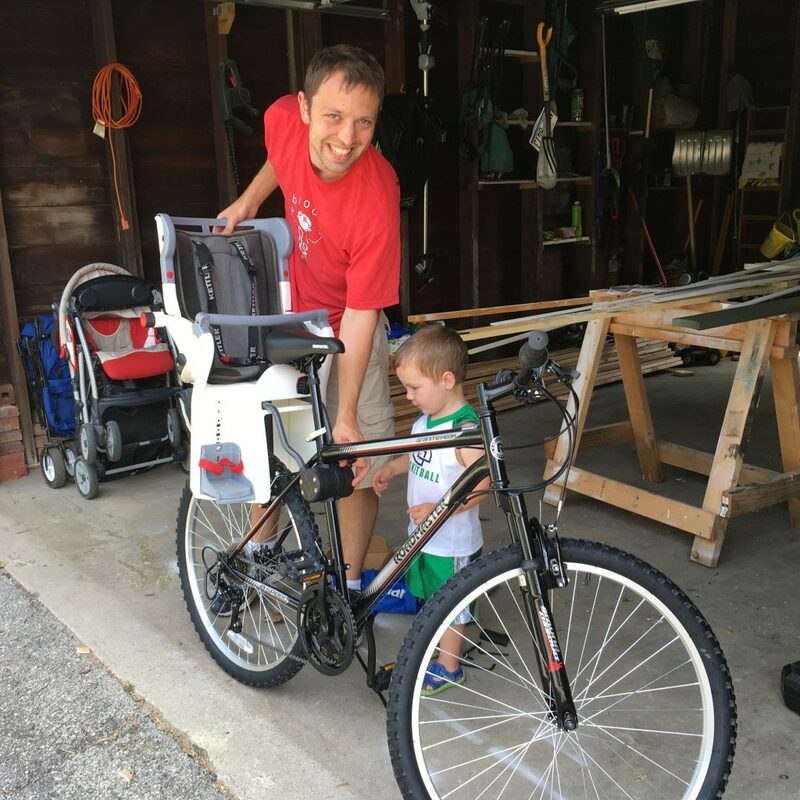 She found and bought a used $170 bike child seat for just $20 off the classifieds. I eventually gave up and bought a new $80 Wally World special to get me back on the road. Frugal Boy was beyond excited when he saw the child seat. He clearly remembered grandma taking him for rides last year at her house. He eagerly helped me install ‘his’ seat on my bike. 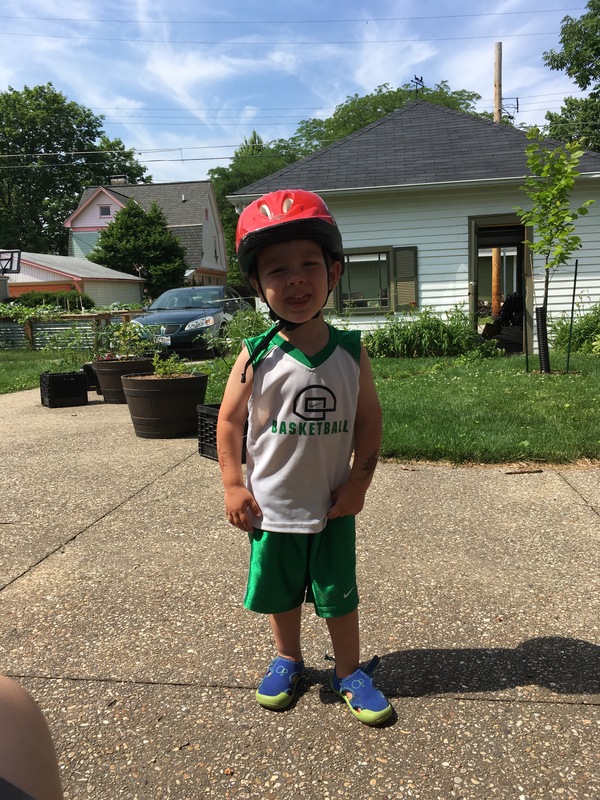 The neighbors had gifted us with a hand-me-down helmet from their youngest son. Then we were all ready to go for a ride. Once we were out in the country there were plenty of mulberry trees with ripe fruit. We made a short stop to pick some for a little afternoon snack. Now that we’ve made that initial $100 investment, we can go to a lot more places that we used to have to drive to. and starting this Fall, the school! I hope that starting Frugal Boy early will help foster a healthy lifestyle for years to come!